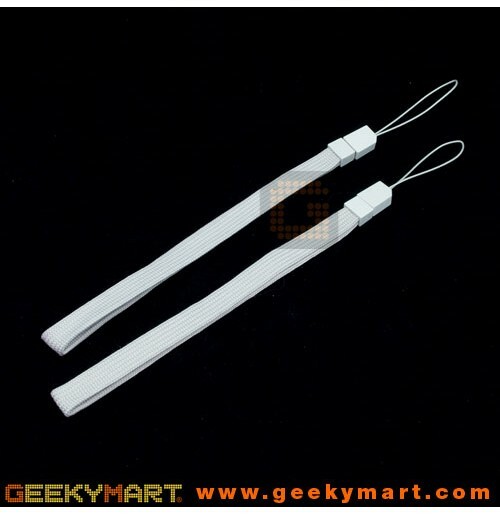 Nintendo Wii Remote Wrist strap helps prevents flying Nintendo Wii Remote, but the original straps gets dirty or damage easily from long term usage. Replacement Wrist Straps Design for Nintendo Wii Remote is a low cost value replacement for your original Nintendo Wii Remote strap. Replacement Wrist Straps Design for Nintendo Wii Remote uses the high quality material and an innovative self locking mechanism for easy tightening compare to the original Nintendo Wii Remote strap. Replacement Wrist Strap can also be used with devices like Sony PSP, mobile phones, cameras or other handheld devices.